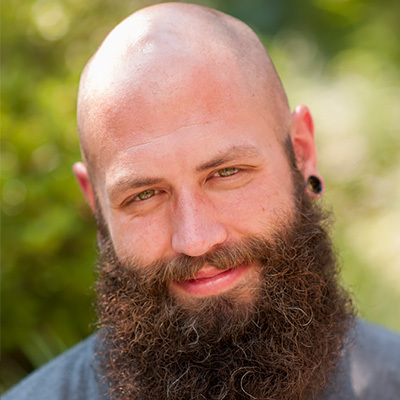 Adam Connor, most recognizable by his magnificent beard, is a designer, author and illustrator based in Western Massachusetts. As VP of Organizational Design at Mad*Pow, Adam helps create positive change by addressing the relationships that people have with one another to foster more collaborative, creative and customer-centric organizations. His work at Mad*Pow and extensive background in experience design, computer science, illustration, and film has taught him the value of delivering and receiving constructive feedback in the design process and the role it plays in effective collaboration. He has coached and trained teams across the world and from industry leading organizations such as Google, Disney, Fidelity, and Aetna. 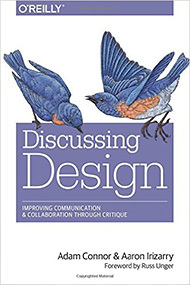 In 2015 he and co-author Aaron Irizarry released Discussing Design: Improving Communication & Collaboration Through Critique with O’Reilly Publishing. His thoughts on collaboration and design can be found at adamconnor.com and discussingdesign.com. Collaboration requires us to share our work; to communicate our ideas with one another and collect other’s thoughts in order to know whether what we’re creating is meeting the objectives of the project. But often we wrestle with collecting feedback. We get comments that are less then helpful because they seem irrelevant or unclear. Or we find that we’re getting feedback and reactions at inopportune times rather than points in the process where they would have been useful in informing design decisions. Our ability to critique speaks directly to the quality of the conversations we have with teammates, whether they be designers, developers, stakeholders, etc. Designers frequently complain about the quality and uselessness of the feedback they are given, but we rarely take a step back and examine how to collect useful feedback and make our discussions around our designs more productive. This workshop will examine how teams can improve the quality of design conversations and collaboration by examining the types of conversations we have in our projects and focusing on the language, rules and strategies of critique. Participants in this workshop will explore critique and how it fits into the design process and both an activity and an aspect of any communication. What critique is and why asking for “feedback” is problematic. Why successful collaboration relies on the presence of critique. How to gather useful feedback from clients and teammates. How to introduce team members to the idea of critique and get everyone using it. How and where critique fits within the design and creative processes and it can be incorporated into projects? This workshop is a fit for any and all individuals who participate in design and development projects. (ex: designers, developers, content strategists, usability engineers, project/product managers, etc) of all levels and experiences. By understanding what principles are and where they come from we can move beyond the lists of best practices and heuristics we’re all familiar with and create unique, consistent experiences. Inconsistency is one of the most common points of breakdown and frustration in the interactions and experiences we have. Whether we’re interacting with other people, applications, our bank, our doctor, our government, anyone, we form expectations and understandings of what someone or something will do based on our previous experiences and their past behaviors. When something happens that doesn’t fit with those expectations–that seems out of character–we’re caught off guard. What do we do next? What should we expect now? Principles act as rules that guide how we think and act. Formed by our motivations, values and beliefs, we use them as “lenses” through which we examine information in order to make decisions on what to do. And because of their persistent influence on our behavior, they influence other’s views and expectations of us. Using these same kinds of constructs throughout the design process we can design interactions and consistent behaviors that set and live up to expectations for our audiences.